Buy Great Gifts that make a Real Impact! Buying a Great Gift has real impact. When you purchase a Great Gift you help support local leaders and their communities. 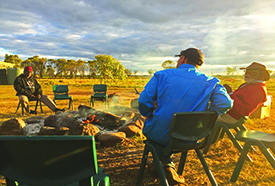 Whether your gifts fight poverty, build local Christian communities, or stand with Australia’s first peoples, your gift supports local people to empower their projects. Now, that’s real impact! 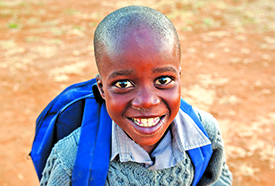 *TD - Great Gifts of Relief & Development are tax-deductible. Community members of Phet Phaitoon increase their incomes and livelihoods through participation in a community-based chicken farming initiative. 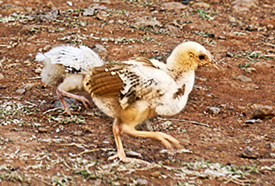 A baby chick helps start chicken projects that provide income for families to access better education and health. Erita is a cheerful KCV House Mother who teaches the older girls to do their own laundry, mend their clothes, and to knit hats and scarfs. The gift of a shirt or skirt instills confidence into a child, wearing their uniform to school with pride and learning life skills at home from House Mother’s like Erita. 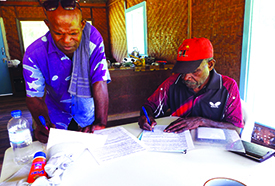 After the Peace Club training, Chief Manyok better understood how to manage conflict and the importance of strengthening relationships with other chiefs and church leaders. 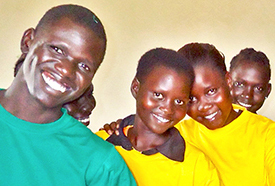 A Peace Club in a high school, extends this training to younger people in Chief Manyok’s community, helping youth in South Sudan expand their awareness and skills in managing conflict. Local volunteers are teaching Indigenous kids in Dareton how to cook healthy and delicious meals! 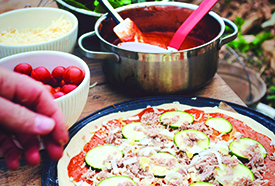 Kids build confidence when they go home and cook for themselves and their families. The gift of a cooking class provides youth with productive afternoons at the youth centre, learning new skills and teamwork in the kitchen. 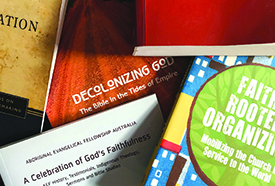 The gift of a Chaplain encourages students and staff to remain true in their faith, and build stronger commitment to Christ in all aspects of their life. 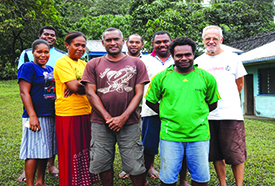 Londua Technical College Chaplain Rexford, works with the staff, and students helping young people to experience God for themselves, and express their faith in practical ways. 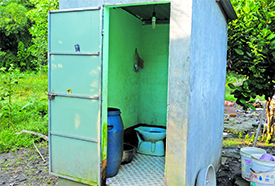 Families living with disabilities in rural Vietnam often dig a hole in the ground as a toilet and cover it with used carton papers. Access to a working toilet and hygiene training provides families with acceptance in the community and knowledge for a happy and healthy lifestyle. Vishwas had no proper education and worked as a manual labourer in Mumbai slums. 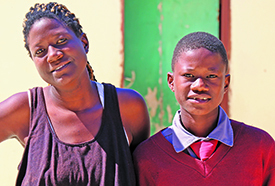 The gift of a computer class enabled him to learn new administration skills to get a job in a small office. He can now pay for and complete further education. The gift of a computer class helps students to break the cycle of hard times, apply for jobs, and access further education. For most women, using a sewing machine at Bright Solutions is their first opportunity to belong to a formal work structure or to work with others outside their families. The gift of a sewing machine empowers women trapped in the cycle of poverty to access life skills and vocational training in sewing and handcrafts. 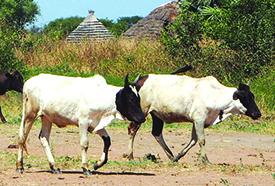 The gift of a Goat assists caregivers in South Sudan to support children they foster. 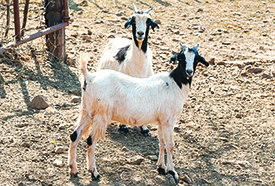 Goats are a huge addition to their household viability, and offer caregivers the chance to earn income. It is much better for orphaned children to be living with their relatives, that’s why Hazel was re-united with her Grandmother. The gift of a local business, helps people like Hazel’s grandmother, to participate in basic business management training and apply for a grant to start a self-sustaining project. 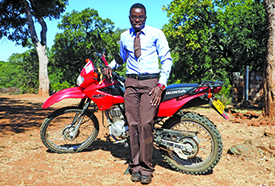 Evangelist Moyo says, “When a bike is broken, evangelism is stalled!” The gift of New Tyres assists motorbike evangelists in rural Zimbabwe, so they can travel long distances, on rough roads to share the love of Jesus with unreached villages. Accessing water was can be a demanding task for rural communities. 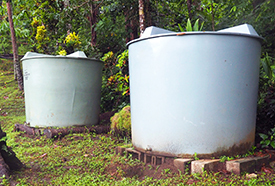 Water tanks and a water system pumping from the river upstream brings clean, abundant safe water to the community. Raising cows help families to afford the hostel fees and other necessities required for their children to access education. 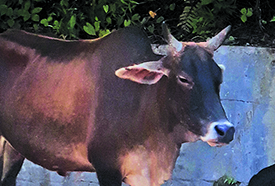 The gift of a cow supports Bandarban Hills Hostel to provide the best care, love and education for local kids and gives the whole family hope for the future. 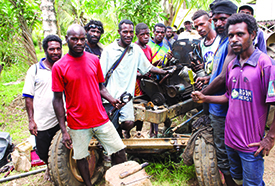 People living in the remote Ramu and Keram rivers area of PNG struggle to get their goods to market and access proper healthcare and education. The gift of road repairs provides equipment and infrastructure for a new all weather unsealed road, resulting in quicker access to markets, healthcare and education. For members of the Maluooth community, in South Sudan, ploughing their dry cracked soil by hand had been incredibly exhausting. The gift of oxen provided families the means to plough tough terrain and reap a harvest tenfold! 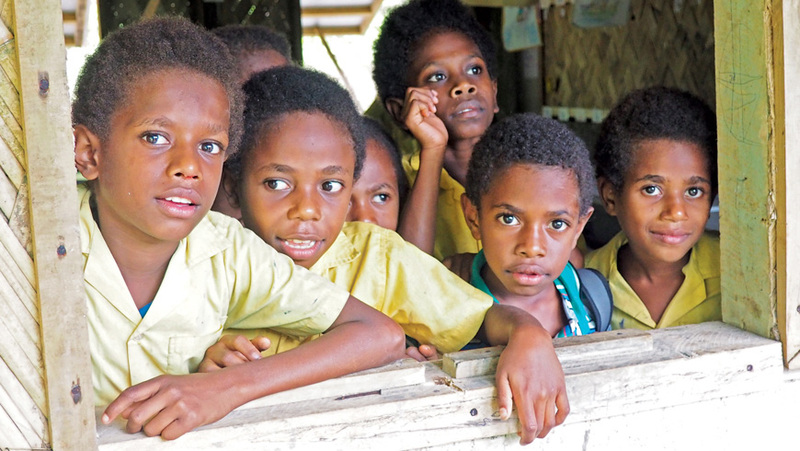 With these new resources families can afford to eat and send children to school. For Rukmani, it was a prayer answered when Pastor Raj began a small group in her home. There was no formal church in the area. 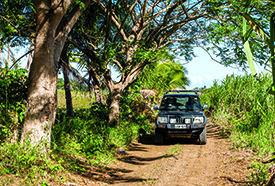 The gift of team transport enables Pastors just like Raj to travel frequently to encourage other churches and Pastors, to build relationships, and share the love of Jesus within Fiji. Community halls or Market houses are important spaces that allow communities to meet together to tackle important issues. 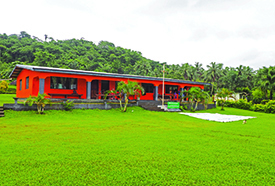 They provide a safe space for vital training in ares like human rights, child protection, and disaster preparedness, as well as supporting local livelihood projects.